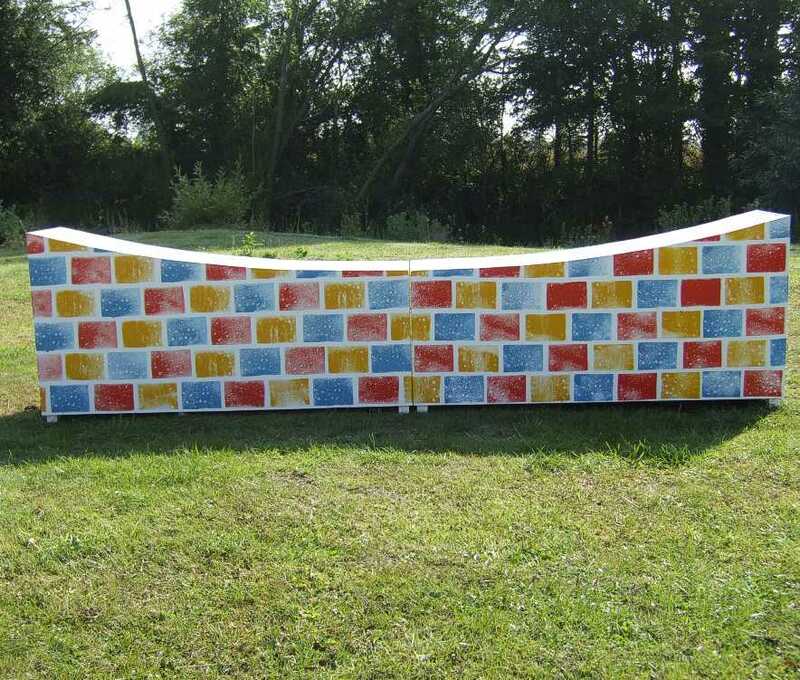 Add fun to your fillers with a colourful dipping wall infill. The height above is at the highest point with the centre dipping to 30cm. Can be placed in front of the poles so that the can be placed lower than the wall making it more suitable for a variety of abilities. Rainbow pattern on approach with a multi coloured stone on reverse (right). Several more products available in the Dipping or Rainbow ranges.